I guess a 8 hr. ride in Crackerbox, is something you would remember forever. Good looking truck now. Especially with a 6-71 screaming under your seat, LOL. The passenger seat was fixed to the floor too. The driver had a Bostrom. LOVED EVERY SINGLE MINUTE TOO!! That is a beautiful tractor. 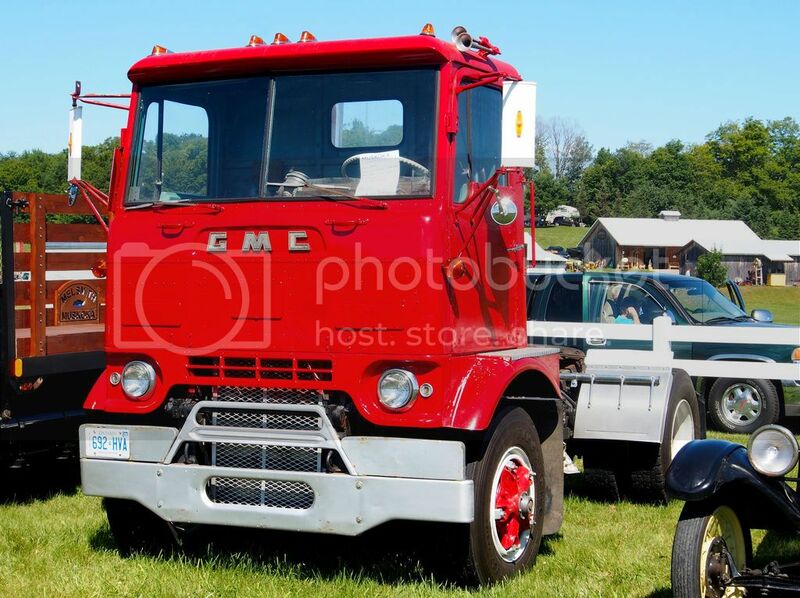 I have just changed laptops and on the other one I have a spec sheet for a 1966 GMC. I will post it here once I get things switched over. That brings back fond memories. Drove one like that for Continental Can Company out of Syracuse, N.Y. In the winter I used to line the inside of the cab with waxed cardboard and duct tape to keep warm. Tape the vent by your feet closed and around the seals on the doors. Talk about a screaming 6-71, flex pipe on the header broke one time and I drove all the way from Albany, N.Y. to Syr. with it broken. Talk about noise. That was about 150 miles. Ah, the good old days.